1M. A. Kashani (e-mail: mohammadreza.kashani@ozu.edu.tr) and M. Uysal are with the Faculty of Engineering, Özyeğin University, Istanbul 34662, Turkey. 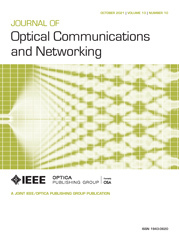 In this paper, we investigate the outage performance of free-space optical mesh networks, which build upon the combination of serial (multi-hop) and parallel relaying. We assume log-normal atmospheric turbulence channels and derive outage probability expressions for the multi-hop parallel relaying scheme under consideration. Our outage probability analysis demonstrates substantial performance improvements with respect to both standalone serial and parallel relaying schemes. Furthermore, we present a diversity gain analysis and quantify the achievable diversity order in terms of the number of relays and the turbulence channel parameters.